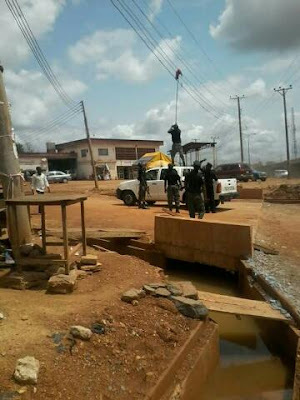 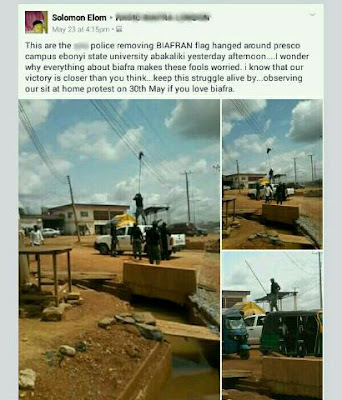 This are the police removing BIAFRAN flag hanged around presco campus Ebonyi state university abakaliki yesterday's afternoon. 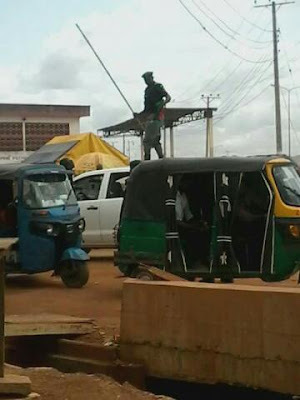 "I wonder why everything about Biafra makes these fools worried. I know that our victory is closer than you think. 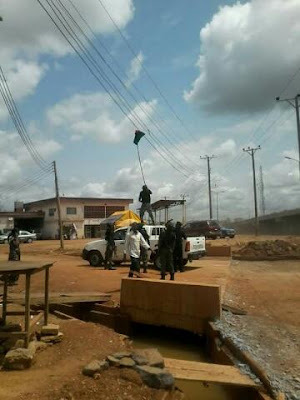 Keep this struggle alive by observing the "sit at home protest on 30th May if you love Biafra."